As the release dates for the adaptations of the final books in The Maze Runner series and the Divergent trilogy approach, people are hungry for the successor to the young adult franchise throne. After The 5th Wave movie adaptation yielded less than expected in the box office, some film analysts have written that no YA adaptation could truly follow in the footsteps of The Hunger Games, Twilight, and Harry Potter and that the young adult adaptation market was dead. Most of the aforementioned articles, though intended to analyze the future success of the YA adaptation market, fail to take into account the perspective of its target audience, avid fans of young adult books. While they may not live up to the massive success of Harry Potter, these adaptations have the potential to do well and have even caught the attention of Hollywood studios. Here's to hoping that they're greenlit soon. 1. 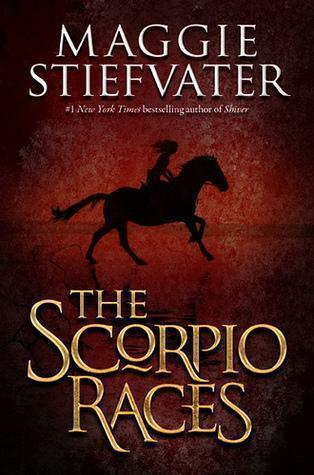 The Scorpio Races by Maggie Stiefvater: Every November on the fictional island of Thisby, its inhabitants compete in a dangerous race riding legendary, deadly water horses. Movies like War Horse (also an adaptation) and Seabiscuit prove that there are plenty of filmgoers who find stories focusing on horses compelling. 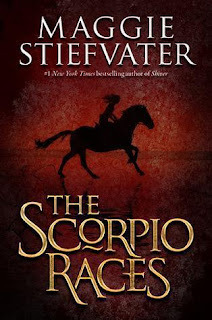 Like Stiefvater's writing, the story premise has a cinematic quality, and may appeal to fans of The Hunger Games who don't necessarily want another dystopian tale but appreciate the danger inherent to The Scorpio Races. Stiefvater would appeal to Hollywood backers looking for an already established fandom; she has sold millions of copies of her books and maintains an active online presence. As for merchandise, which has typically been associated with several YA films, I can picture water horse stuffed animals and the ribbons that riders wear sold alongside the t-shirts and artwork that would accompany any film. Stiefvater has also posted a recipe for November cakes, a treat written into the culture of Thisby. Status: In September 2015, Focus Features announced that Matt Sobel would direct The Scorpio Races based off the screenplay written by Jack Thorne. 2. The School for Good and Evil by Soman Chainani: Two best friends are kidnapped to attend the legendary School for Good and Evil, which trains its ordinary students to become fairy tale heroes and villains. 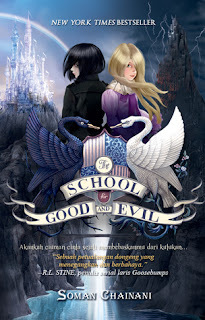 Technically, The School for Good and Evil is middle grade, not young adult, but it should still appeal to YA fans, especially given its premise. 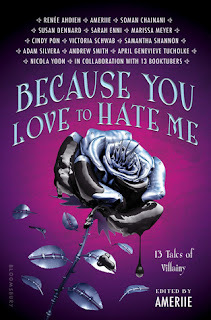 The success of series like Marissa Meyer's The Lunar Chronicles and Sarah Maas' A Court of Thorns and Roses prove that the young adult market remains interested in fresh spins on fairy tales while popular TV shows like ABC's Once Upon a Time (now in its sixth season) highlight the interest of a mainstream adult audience. The School for Good and Evil also has its own legion of fans: in a promotional article for the trilogy's conclusion, which was published in July 2015, Publisher's Weekly reported that over 500,000 copies had been sold worldwide. Soman Chainani hosts an online Youtube show, Ever Never TV, to promote the books and interact with his fans. Status: Universal Studios optioned The School for Good and Evil, but as Chainani wrote on his website this past January, the script is currently being rewritten. 3. 13 Little Blue Envelopes by Maureen Johnson: A girl follows travel instructions written in envelopes from her dead aunt, which she must open one by one, and backpacks through Europe without a cell phone or guidebook. I was in eighth grade when the Sisterhood of the Traveling Pants adaptation was released, and I can still remember my excitement. Capturing a similar adventurous summer feel, 13 Little Blue Envelopes is in the unique position as a YA contemporary novel of appealing to fans who don't want another teary If I Stay or The Fault in Our Stars but who liked the recent journey-focused story in Paper Towns. Fans of 13 Little Blue Envelopes will love watching the characters come to life onscreen while a wider audience, unfamiliar with the novel's contents, will be caught in the suspense of not knowing what instructions the next envelope would contain. All moviegoers can imagine what adventure they would plan or take with their own set of envelopes. As one of the early YA writers and a close friend of YA author celebrity John Green, Maureen Johnson has a significant fanbase that should also draw Hollywood's attention. Status: In conjunction with New Line Cinema, Alloy Entertainment purchased the rights to develop 13 Little Blue Envelopes as a feature film in April 2015. 4. We Were Liars by E. Lockhart: A girl no longer remembers the tragedy that happened at her family's summer home but seeks to discover the truth behind all the lies. The rich setting -- a private island off the coast of Massachusetts -- calls to mind the previously successful adaptation of Gossip Girl and the notoriety of the Hamptons and Martha's Vineyard. Slipping into the lives of the wealthy Sinclairs enables a kind of escapist fantasy even as the truth and the main character's confusion lend a heartbreaking edge to the suspense of what happened two summers ago. Random House came up with a catchy slogan to encompass the fanbase: if anyone asks you how the book ends, just LIE. 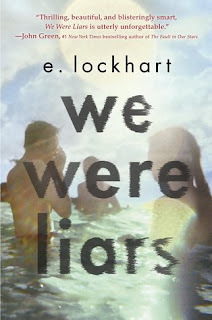 Like Maureen Johnson, E. Lockhart is a well-established YA author and friends with John Green, whose blurb on the first edition proclaims that We Were Liars is "utterly unforgettable." Status: Imperative Entertainment hired Stephanie Shannon to write the screenplay in April 2015. Bonus: Nimona by Noelle Stevenson, The Fever by Megan Abbott, This Is Not a Test by Courtney Summers, Red Queen by Victoria Aveyard, The Young Elites by Marie Lu, Throne of Glass by Sarah J. Maas, Shatter Me by Tahereh Mafi, Famous in Love by Rebecca Serle, and Just One Day/Year by Gayle Forman are also movie and tv adaptations widely held as promising. (Ask me more about these, and I'll tell you why ;)). Bonus (X2): Set for 2016 releases, the tearjerker A Monster Calls by Patrick Ness, fan-favorite Fantastic Beasts and Where to Find Them by J.K. Rowling, and star-studded Miss Peregrine's Home for Peculiar Children by Ransom Riggs look like promising adaptations as well. And this year we can prove to all the naysayers of YA and YA films that no, they are not dead even if they don't reach the "Big 3" level of success. Ah, but now you're asking, "So, Christina, what are you trying to do? Is this a call to action? Is this a letter to studios? Are you updating all of us on the status of these films?" It sort of is a call to action. I wish studios were listening. Sometimes I think that what gets made into a film, or what's optioned, are things that I can't ever actually imagine playing out on the big screen - like whoever optioned the book wasn't actually envisioning the movie but just keeps hoping for the success of the Big 3. But I'd like to hope that's not what all the options mean; I'd like to hope that the YA market stays alive and well. I'd like to hope that the movies above will eventually get greenlit, as I think that they particularly would be successful. And I am updating y'all on the status of those adaptations, so that we can all discuss the awesome potential of those adaptations and maybe our collective enthusiasm will push for those books to be made into their respective adaptations. Maybe a studio representative will see this post (ha ha ha), and push for those adaptations as well. Who knows? But above all, I do love to discuss YA books, so let's chat! Do you think that those adaptations will be successful? What books would you add to the list?